We received this etching today from family descendant Lance Mead. 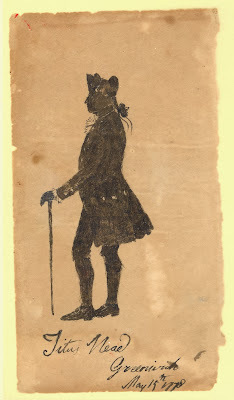 This is a scanned etching of Titus Mead or Greenwich, Connecticut. It is dated May 15, 1778. The original is in the family archives located at the Greenwich Historical Society behind Bush Holley House in Cos Cob.